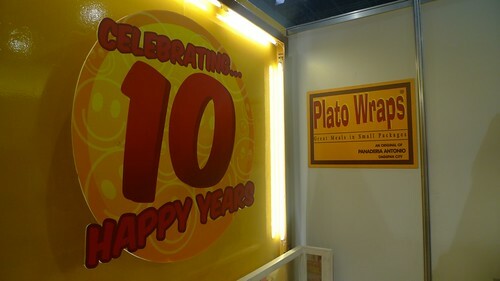 PLATO WRAPS Â just celebrated their 10th year Â in the franchise industry and they have around 50 outlets around Luzon and Visayas. 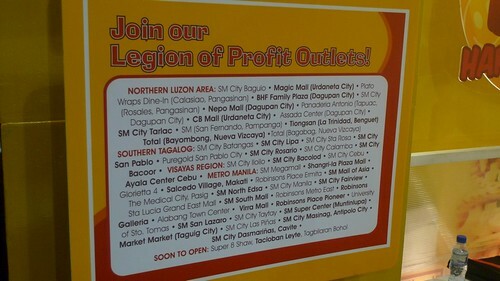 I am hoping they expand to Mindanao particularly in Davao City soon. 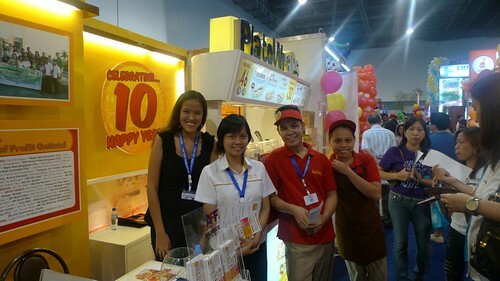 I spent most of my time at the Plato Wraps booth. Thanks to Mr. Ronald Bondoc for introducing me to the rest of the staff and crew! I instantly ordered my favorite VERY VEGGIE with Regular Coke. It reminded me of my college days since if I usually buy Plato Wraps Very Veggie when I am in a hurry especially during exams. Eating while cramming LOL. Here’s Lotsa Pizza‘s resident suave mascot teasing Binalot’s makabayan mascot to a dance showdown. Cute! How I wish VERY VEGGIE the mascot was there too to render a dance number. Here’s an old video of his dancing Justin Bieber’s hit song ‘Baby’. I was able to go around and i am impressed with the number of young married couples who are serious in venturing into a food cart business. 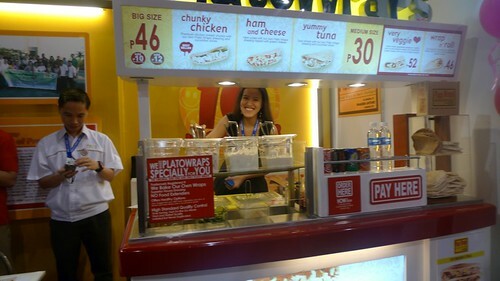 One even told me that it is her dream to have her own business, and since the Franchise system is already proven and tested, she would like to know more about the ropes. 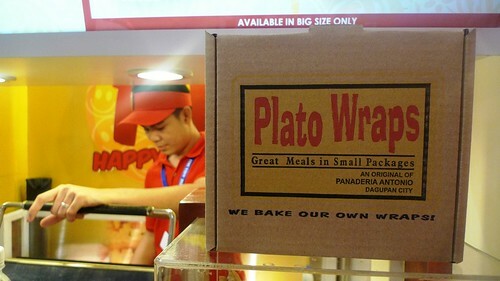 I love Plato Wraps! Suki ako ng Megamall branch nila dati. Hindi ko pa natitikman yan. Pag napadaan ako baka sakali makuha ako sa amoy ng pagkain. Sila din yung nasa de venecia highway di ba? Isa sila sa pinagkakainnan namin after work sa dental clinic. @Rodney – Woot 😀 Daan ka ulit hehe saan ka na ba nagwowork ngayon? 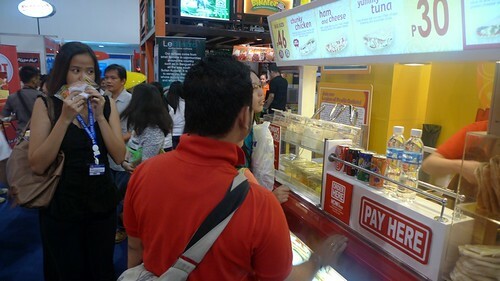 mukha masarap yan., gusto ko magfranchise nyan., magkano b lahat magastos ko dyan. 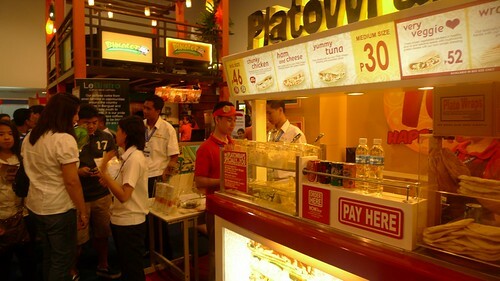 May i ask regarding the franchise or dealer of plato wrap how much the initial capital,And we have a site for the plato wrap soon in our unit at 954 sto. cristo st., tondo, manila (divisoria). We engaged now in business for almost 15years wholesale and reatail of onions and garlic. 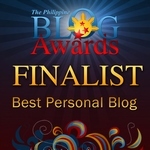 Our client is came from different province Luzon,Visayas, and Mindanao including NCR and CALABARZON area. Thank you so much.